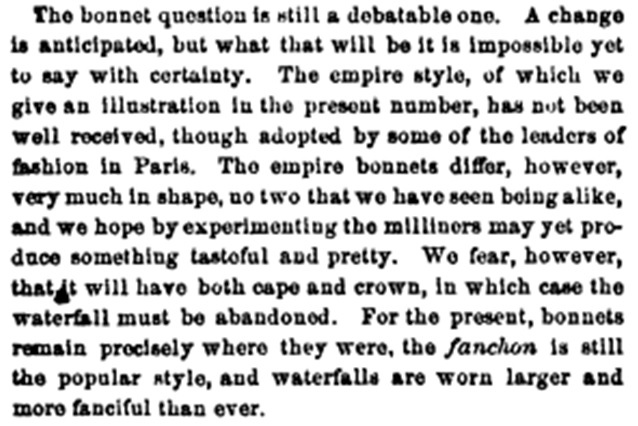 In 1865, mentions of the Empire bonnet are in fashion descriptions with a line or two regarding an ensemble rather than commentary on the style itself. 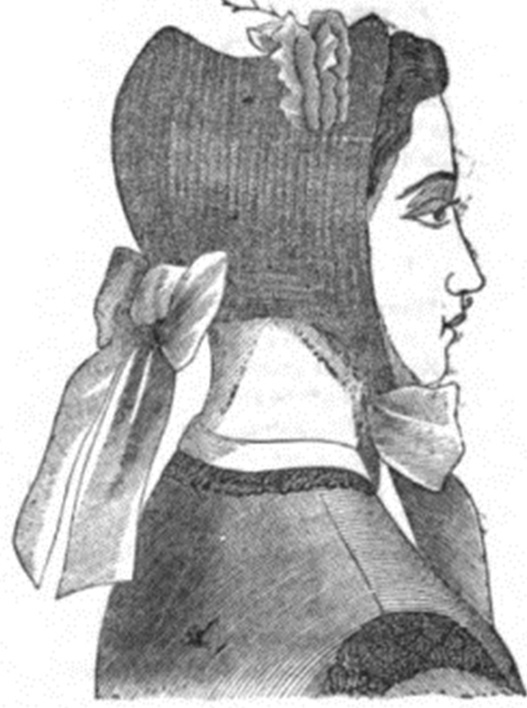 We see the Empire bonnet made of straw as well as buckram and frequently of velvet. The decorations recommended vary. 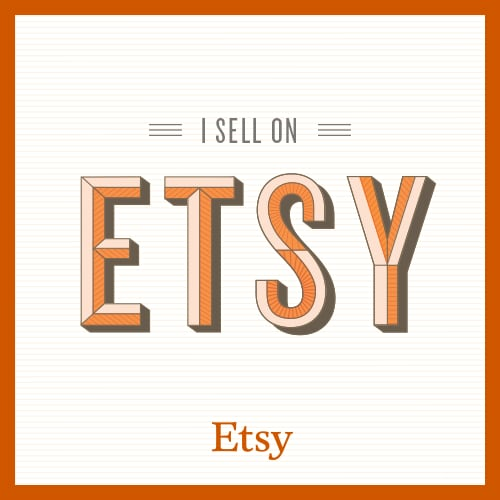 We see recommendations of tulle, velvet, rose buds, flowers, lace and leaves as well as the appearance of gold chains, straw sequins. 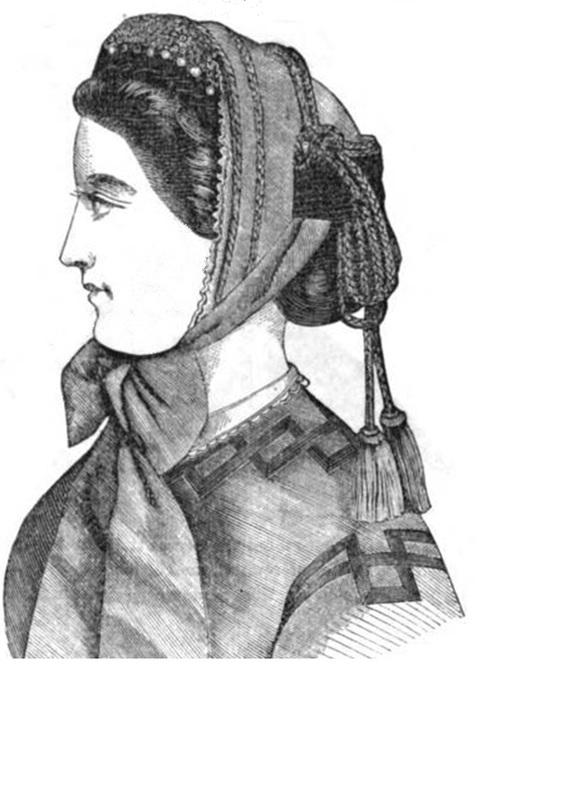 Godey’s Lady’s Book, 1866 “Empire Bonnet. Intended for a half mourning toilet. The border in front and the curtain consist of white chip, the crown is formed of black thulle puffings, the puffings being separated by rows of black ribbon velvet, worked with white chalk beads. 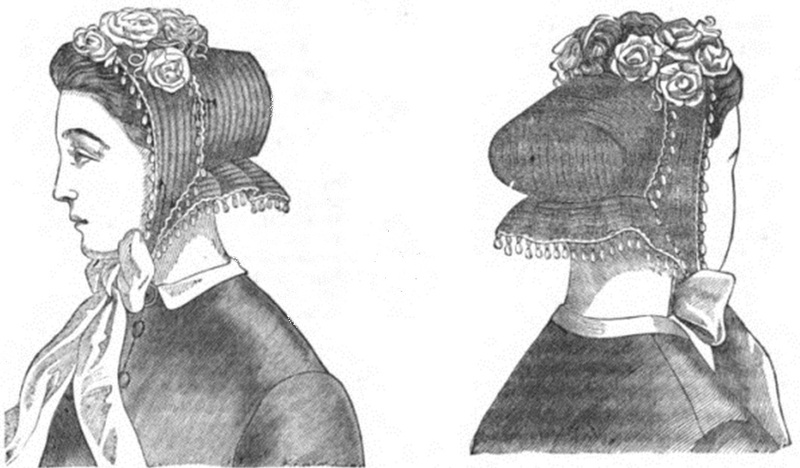 Black velvet ribbon, with a row of white beads on the centre, separates the front from the crown. 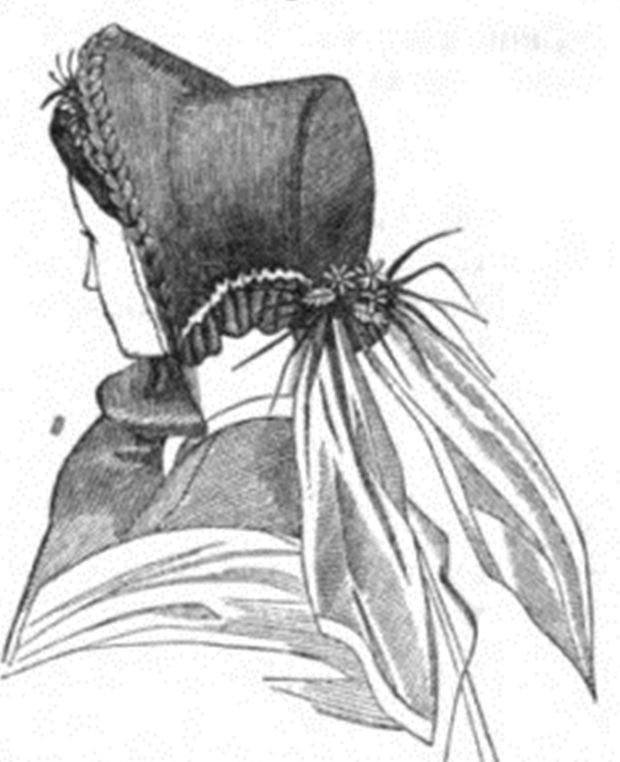 The bow at the back consists of black velvet and beads; the strings are black velvet. In the inside is a black velvet bandelet, worked with white beads. 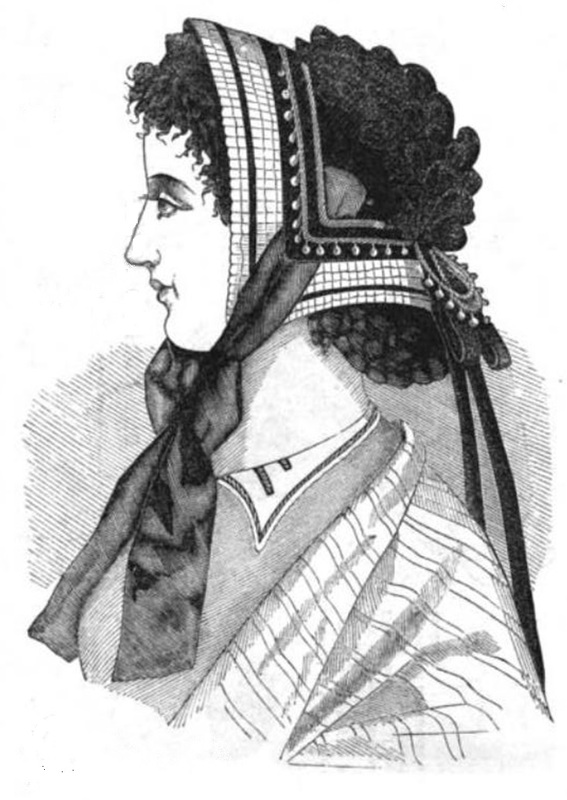 If this bonnet is preferred in colors, blue silk and crystal beads might be substituted for the black thulle and chalk beads. Mauve silk, with straw drops, would likewise have a good effect.